Available in capacities from 2204 lbs – 44092 lbs. 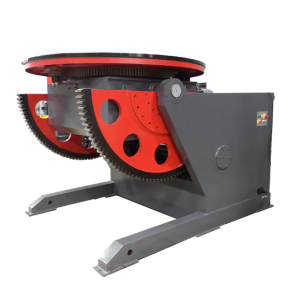 Our manually adjustable weld positioners deliver great stability of shafts, plates, cylinders and other materials. These models are free-standing with all steel fabrication with a strong, robust design to reduce vibration and elastic deformations. These positioners consist of a sturdy worktable that can be adjusted manually with both height and pitch for your desired placement and speed. These weld positioners offer you great quality welding at an affordable price point. We offer a variety of models in numerous sizes to accommodate your welding requirements.